Even when time is on your side, don’t waste a single moment. 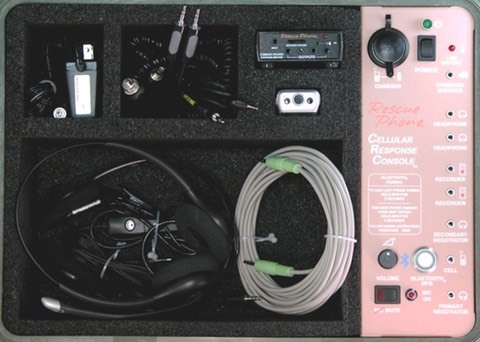 The Rescue Phone® Cellular Response Module™is a compact, portable unit created at the request of the FBI for those situations where a first responder has started a conversation on their cell phone. It is powered by an internal rechargeable battery and can also recharge your cell phone while it’s in use, using the charger port on the panel. The CRC can also be used for pretext call and in kidnapping applications.